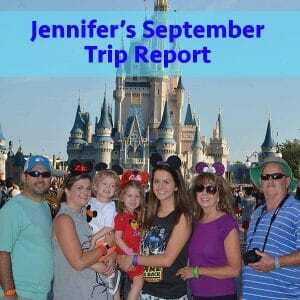 Today I have a first-timer trip report from a September trip that included Jessica's three-generation family that stayed in a villa, did lots of character meals, and scheduled several extras that you'll get to hear about. You'll also find out about Jessica's husband (who wasn't quite sure what all the fuss was about beforehand) to hear how he liked the trip. You'll also get a quick tip about the many uses of Ziploc bags during Disney World trips. Prep School Travel is open! Pic of their themed Halloween party costumes. "I have two small sons who love Disney popcorn! 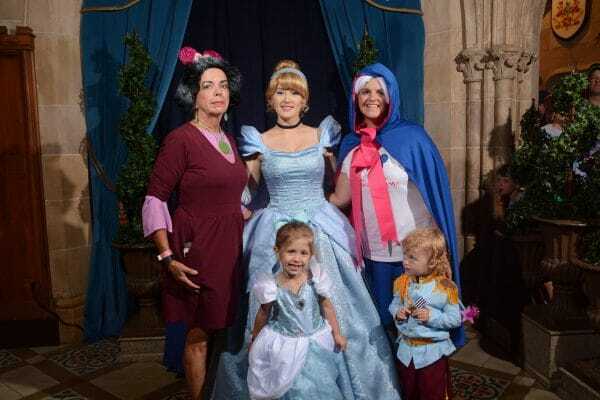 However, during our first trip, we learned that purchasing them each a bag of popcorn inevitably led to at least one of them spilling the popcorn, which made a huge mess and, of course, led to a child in tears because they had spilled their bag of popcorn. So, I quickly learned that it was much better to purchase only one bag of popcorn and split it between the two boys using Ziploc bags before giving it to them to eat. When ordering popcorn, I always ask for an extra cup (which is no charge!) and the cast member will almost always fill that cup with popcorn too. Between the cup of popcorn and the purchased bag of popcorn, there is enough to almost completely fill 2 quart sized bags, which is great for so many reasons. Obviously, the children are much less likely to spill the popcorn and it is easy to just close the bag and save it for later, which is so much easier than dealing with the open paper bags from the popcorn kiosks. But, this also really helps stretch our snack credits since we are able to give each child plenty of popcorn but only use one snack credit." How did you know I had a long drive today? I was so happy to see a new podcast uploaded! Thank you for making the drive go by fast!